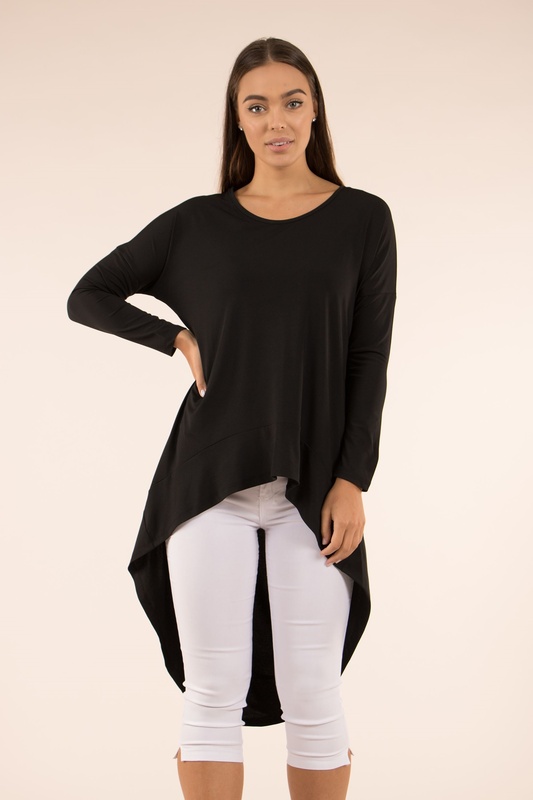 Update your capsule wardrobe with this this jersey high low tunic top. It has a round neck, long sleeves and comes in a longer length making it perfect for everyday outfits. Wear with skinnies and trainers for a cool daytime style.